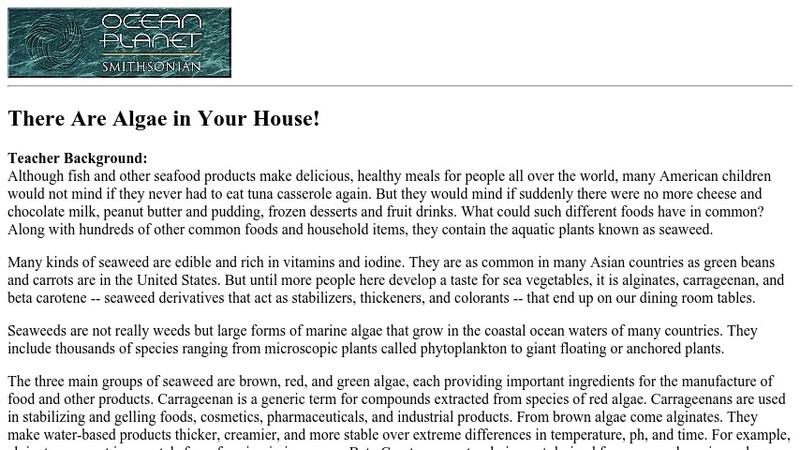 There Are Algae in Your House! This lesson plan provides an activity in which students can learn about how algae is used in the food they eat. The lesson plan includes background information as well as instructions for in-class and take-home parts of the activity.